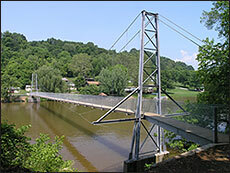 Wikesboro NC was known by the Cherokee Indian name Keowee and by the early settlers as Mulberry fields. Col. Richard Allen was an early settler, Wilkes County sheriff, militia leader, and representative to North Carolina’s constitutional convention at Hillsborough. A marker in his honor is in Roaring River NC. 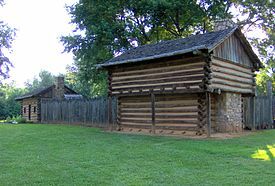 Allen stayed with foot soldiers at Cowpens in the BKM expedition. Col. Benjamin Cleveland was the leader of the Wilkes militia at Kings Mountain. One of his tracts was on Bugaboo Creek. The historical marker in Ronda is for his home at “Round About.” When he lost this home to an earlier claimant, he moved to Pendleton County SC, Tugaloo River. 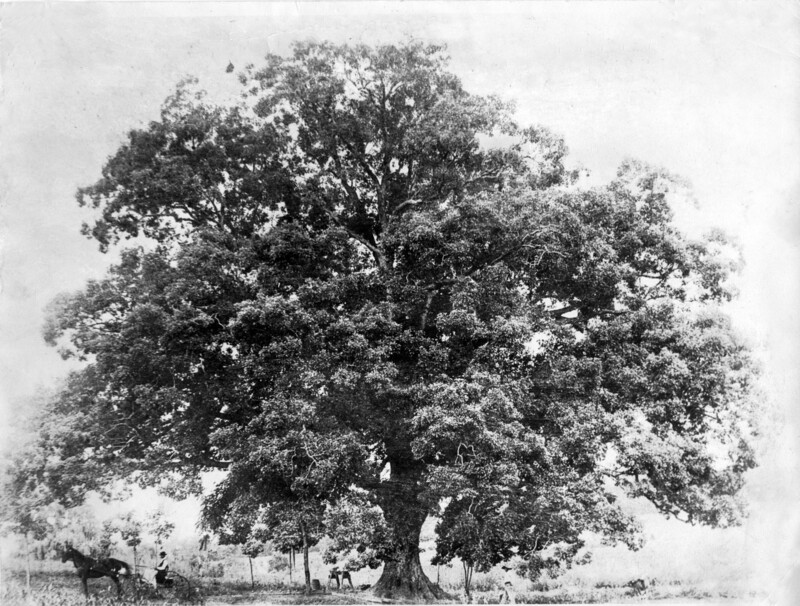 “Tory Oak” in Wilkesboro was known as the place where Col Cleveland had five Tories hung. 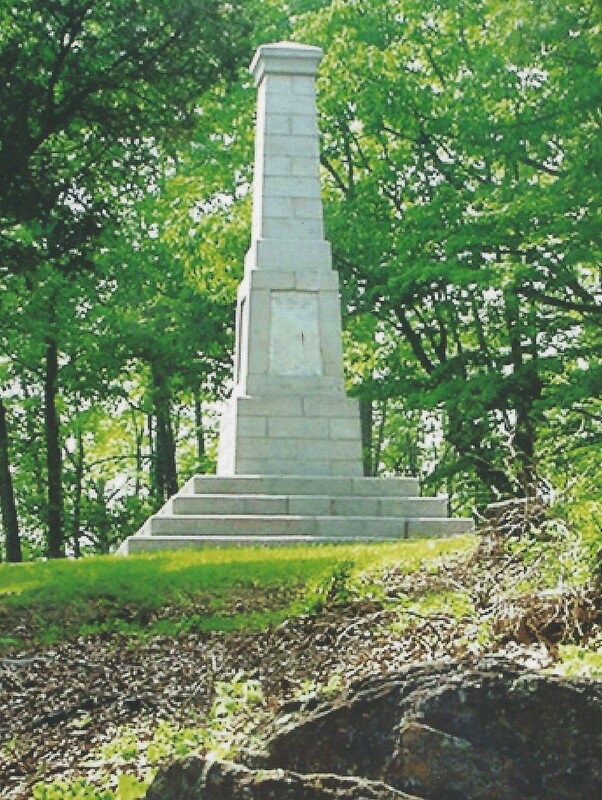 The huge (about three hundred pound colonel lost his horse in the battle at Kings Mountain. The patriots agreed to award him Patrick Ferguson’s horse for the return home. Benjamin’s brother, Captain Robert Cleveland was a friend of Daniel Boone during Boone’s Yadkin Valley years. Robert led a militia company to Kings Mountain. DAR marked his burial place off Parsonsville Road near Rendezvous Mountain. Major Joseph Herndon had some soldiers who proceeded to BKM, but he remained at Cowpens with the footmen. Rendezvous Mountain takes its name from a legend dating back to the Revolutionary War. As local legend has it, Colonel Benjamin Cleveland rallied his militia of mountain patriots from its summit before leading them on to a decisive victory at the Battle of Kings Mountain (See Overmountain Trail, page 78). 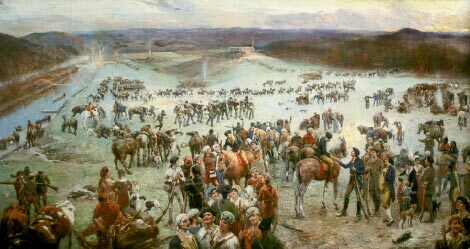 On an immense trumpet scaled to the size of its owner, himself an imposing 300 pounds, Cleveland blew long blasts facing north, south, east, and west, and then he watched as his men in the valleys below saddled their horses and galloped toward the mountain. It was said that the strength of the trumpet’s blast was such that the sound echoed and reechoed until it finally broke on the Blowing Rock, some 30 miles west. Rendezvous’s small but commanding peak lies at the eastern edge of the Blue Ridge escarpment, in the foothills that separate the Blue Ridge Mountains from the gentle rolling hills of the Piedmont. Rendezvous rises to its narrow summit at the southeastern extremity of Judd Mountain, a larger mountain mass that forms a steep ridge between the Reddies River and the Lewis Fork Creek, both tributaries of the Yadkin River. This ridged rock formation, known to geologists as the Alligator Back Formation, was uplifted and thrust westward in mountain-making collisions more than 570 million years ago.